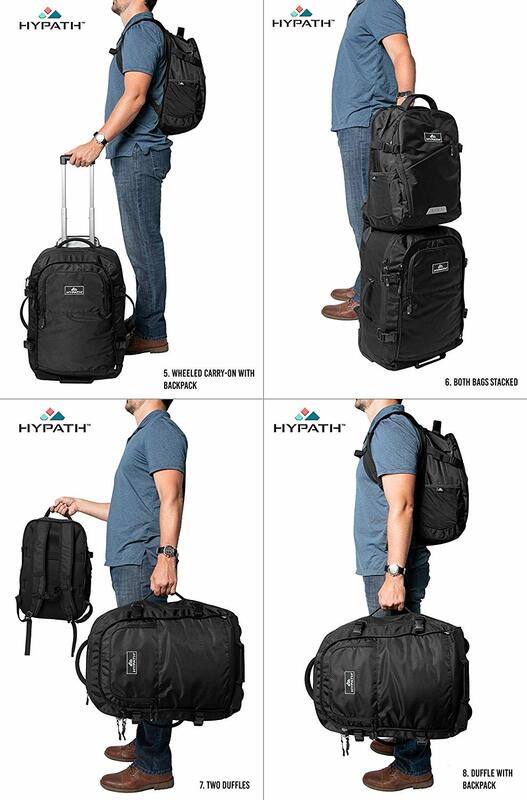 The Hypath 2-in-1 Convertible Travel Bag is the top-rated product of our picks for best carry-on backpacks with wheels. It has the overall best balance of quality, utility, aesthetics, design and cost. It is similar in price to the cheaper High Sierra products on the list, but higher in quality, and has the highest amount of interior storage space. Read our full Hypath 2-in-1 Convertible Travel Bag review to learn more. The Hypath 2-in-1 Convertible Travel Bag offers a unique solution for travelers. 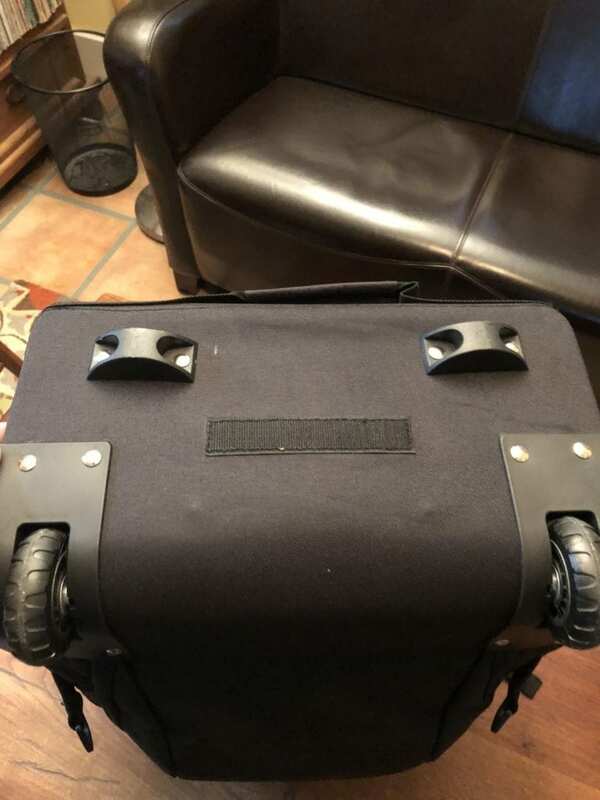 There is a main carry-on bag with lots of interior space, wheels, a retractable handle and easy-grab handles on all four sides. On the back of the main bag, there is a panel that can be unzipped to reveal two backpack straps and a padded hip belt. 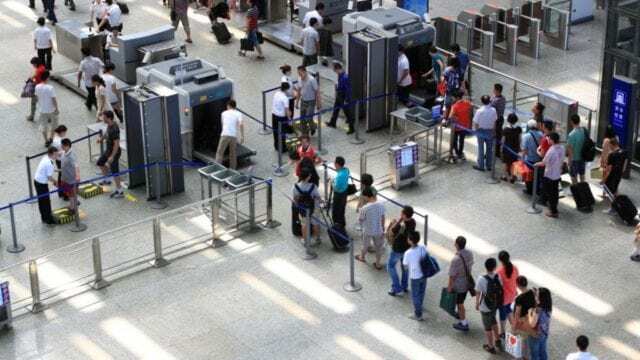 This can be used to convert the main carry-on into a large backpack. 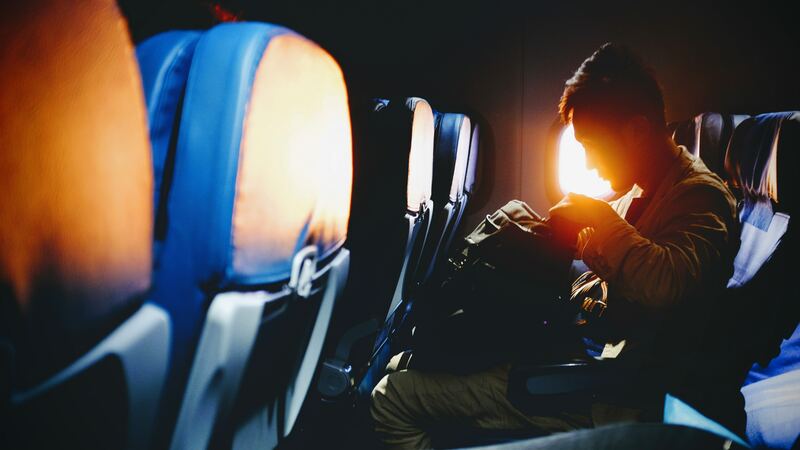 In addition, this bag comes with a smaller backpack that can be zipped or clipped to the front of the main carry-on. 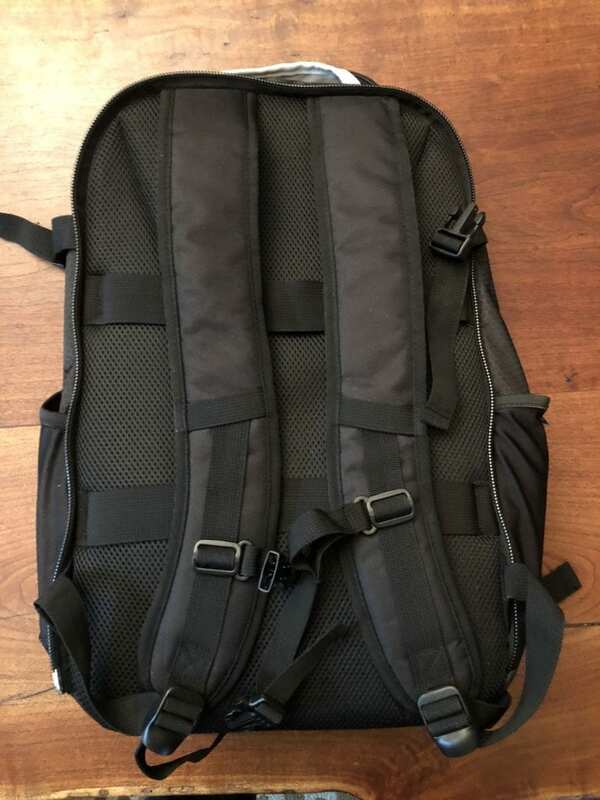 This smaller backpack also has two straps on the back that can be used to attach the bag to the retractable handle so that both bags can be stacked and rolled together. 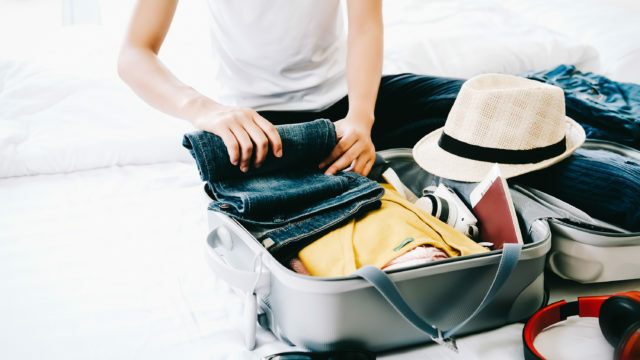 The Hypath has the best overall combination of space, quality and price on our list of best carry-on backpacks with wheels. Daypack: The daypack is much more functional for general day-to-day use compared to the other products. Other brands tend to make daypacks that are too small or have with no interior laptop sleeves or pockets. 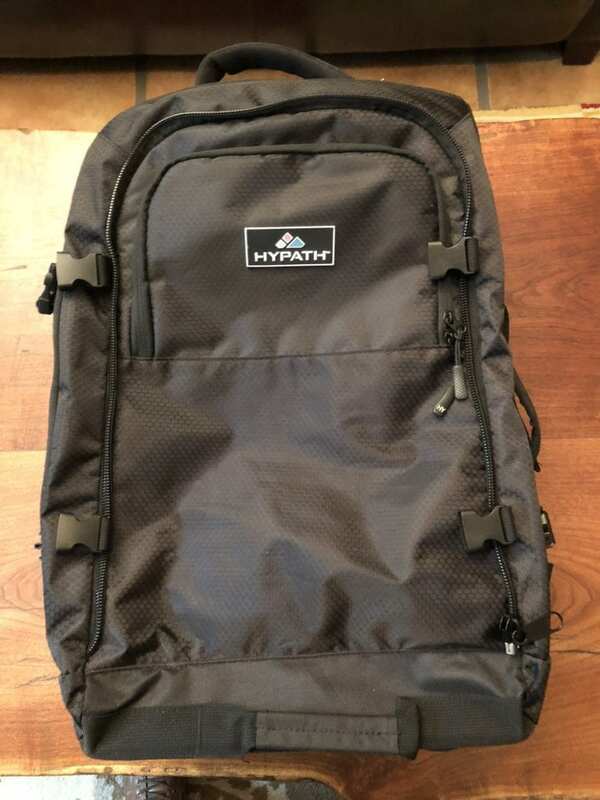 The Hypath daypack has plenty of interior organization, space and a padded laptop pouch and felt lined tablet sleeve. Price: The Hypath currently sells on Amazon for just a little over a hundred dollars. This is not much more than the High Sierra options and the additional quality and space is worth the extra amount of money. The Hypath is also far cheaper than the higher quality Eagle Creek Doubleback and Osprey Ozone, which are both more than double the price. Space: The Hypath has the most space out of all the options on our list. 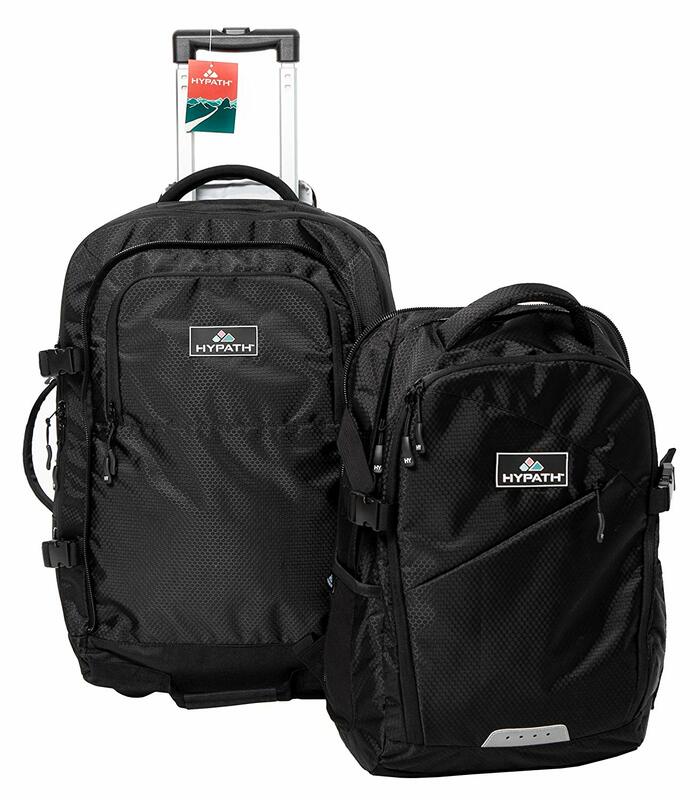 The main carry-on is similar to the High Sierra products in space and is much larger than the Eagle Creek and Osprey. The main difference in size comes in the daypack. Wheels/Base: While the wheels/base are functional, the Hypath could be improved by having larger wheels with more clearance and a stronger support base, similar to the Eagle Creek Doubleback and Osprey Ozone designs. 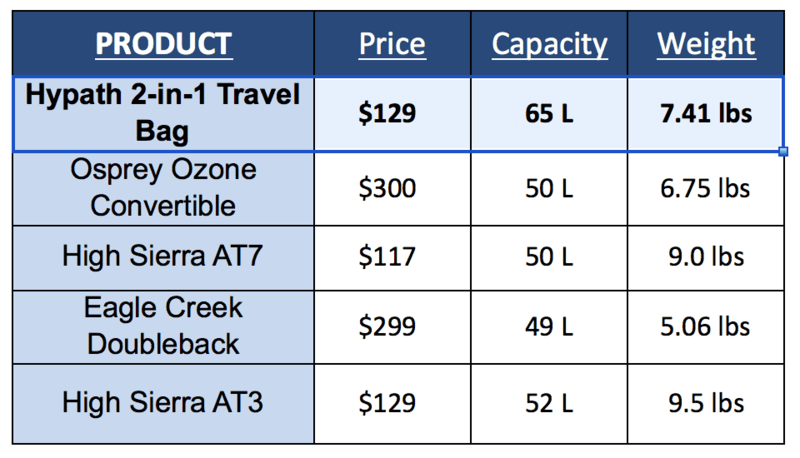 At the time of this writing, these were the approximate prices of the bags so you can compare this option to other carry-on backpacks you’re considering. 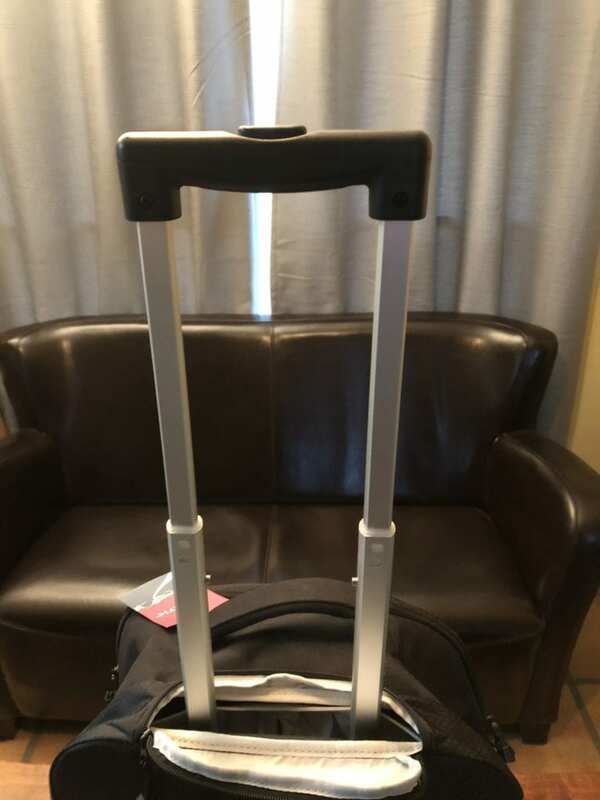 To give you the most value from our Hypath 2-in-1 Convertible Bag With Wheels review, we’ll go over the details of this bag’s features, including the main carry on bag, retractable handle, backpack straps, wheels/base and daypack. Exterior: The exterior has a modern, sleek design with high-quality material. It appears to have an outer coating, making it somewhat water and stain resistant. The zippers, handles, straps and pockets are all high quality and earn high praises in Hypath 2-in-1 Convertible Bag With Wheels reviews. Handles. The exterior comes with four handles, one on each side. The other models we reviewed only have three, making the Hypath the easiest to handle. There is also an extra zippered pocket on the front side of the main bag for easy access to smaller items. Interior: The Hypath has two interior straps to help secure luggage. There is also a zippered mesh pocket along the inside of the main opening, perfect for laundry or other loose items. The interior lining appears to be strong and durable. Space: The Hypath has a lot of interior space but is still within airline carry-on dimension requirements. It has slightly more space than the High Sierra and tons more than the Eagle Creek and Osprey. Double pole design: The Hypath uses a double pole design, which adds a little more weight. However, the second pole adds strength and is a lot more stable when sliding the detachable daypack over the retractable handle. Quality: The handle is durable and functional, but doesn’t seem to be as high quality as the Eagle Creek and Osprey Ozone. 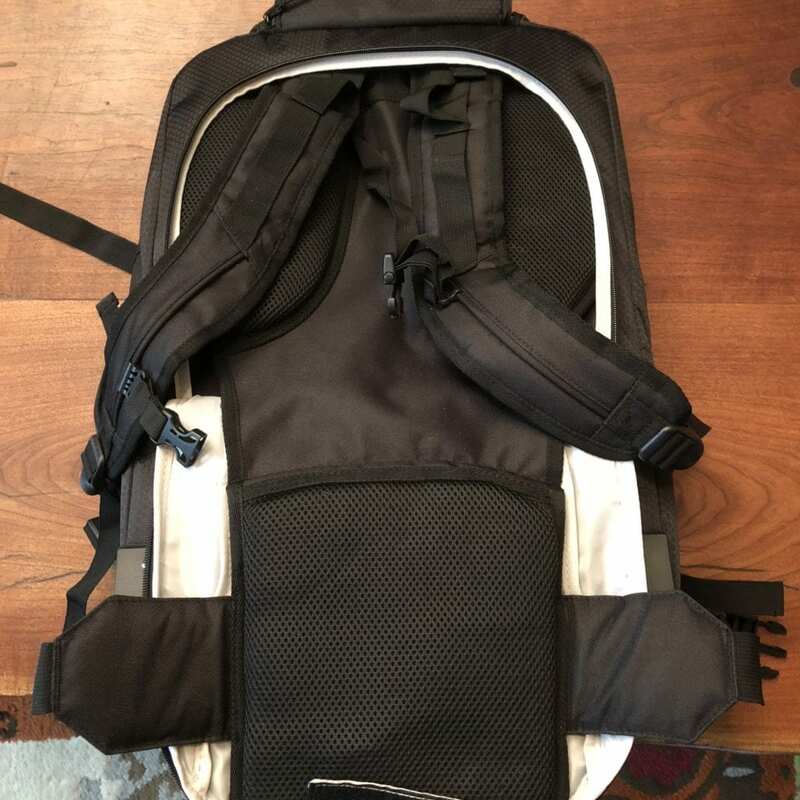 Easy setup: There is a panel on the back that can be unzipped and to reveal two backpack strips and a padded hip belt. 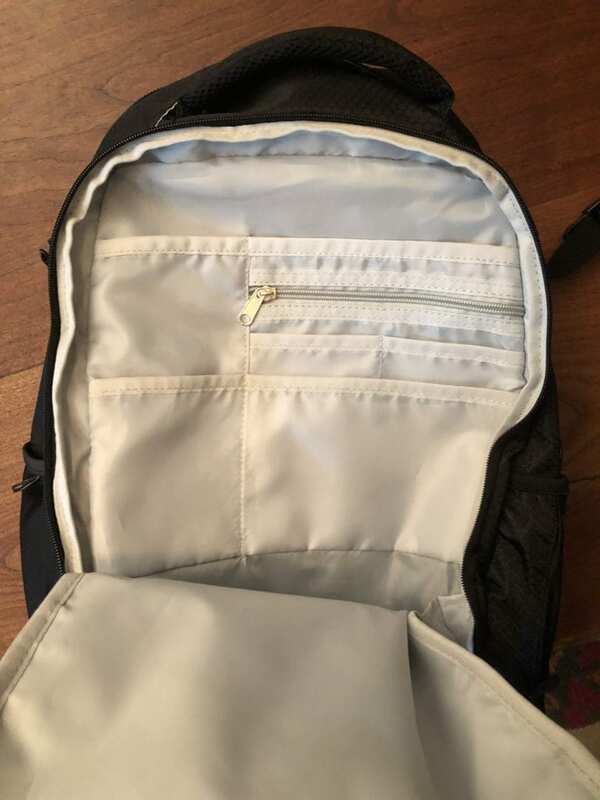 The two backpack straps clip into loops near the bottom of the bag. Hip belt: The hip belt is great for added comfort and stability. There are also hip pads that add comfort and protect the back of your clothes from the wheels. Chest strap: For even more comfort and stability, you can use the built-in chest strap with a safety whistle on the main clip. Basic design: While the wheels and base are functional, the design is not as high quality as the Eagle Creek and Osprey Ozone. Hypath could improve this by having larger wheels for more clearance and additional padding on the front corners. Chest Strap with whistle: There is a built-in chest strap and safety whistle for added comfort and safety. Design: The daypack has a modern, sleek look. 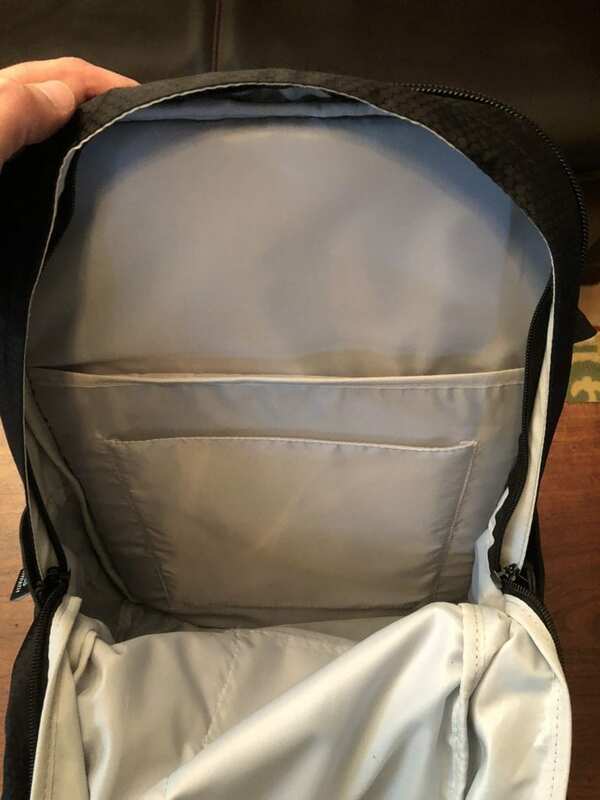 The main zipper has a protective lining, the material is durable and appears to be somewhat water resistant and there is a reflector on the back. 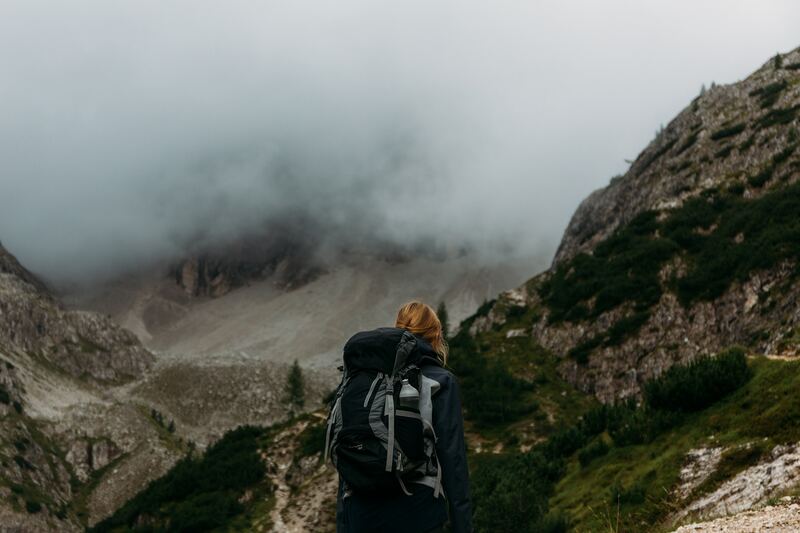 Functionality: The Hypath daypack is great if you want the option to be able to carry extra luggage such as shoes or a jacket in the daypack. The other brands have limited space in their daypacks. 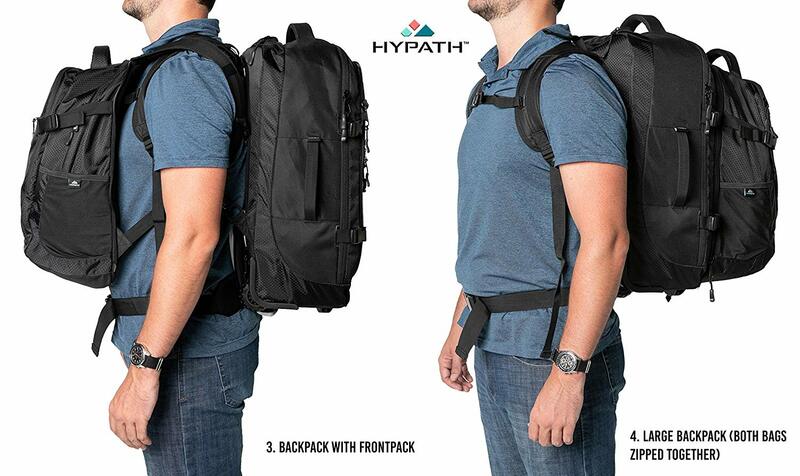 Hypath has the only daypack that is designed for general day-to-day use. It would function just fine as a standalone backpack for work or school. 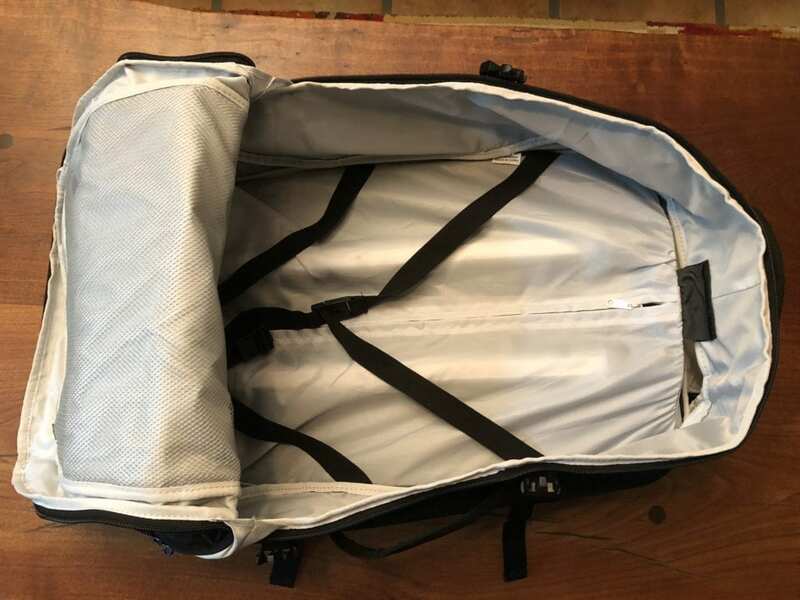 This feature is often mentioned positively in Hypath 2-in-1 Convertible Travel Bag reviews. 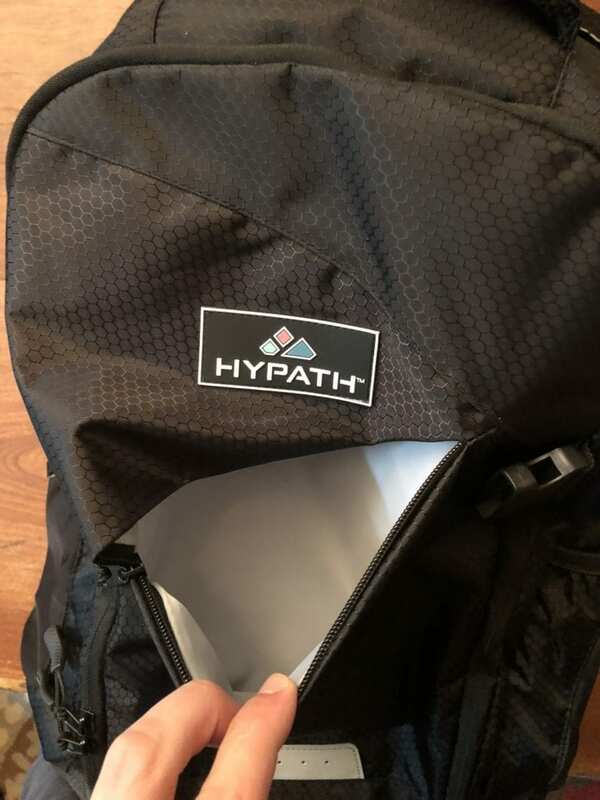 Interior: The Hypath daypack has the best interior layout. There is a small quick grab pouch on the front for smaller loose items and a second larger pocket with several interior organization pockets and pouches. A third larger pocket with a padded laptop sleeve and tablet pouch keeps your electronics safe. 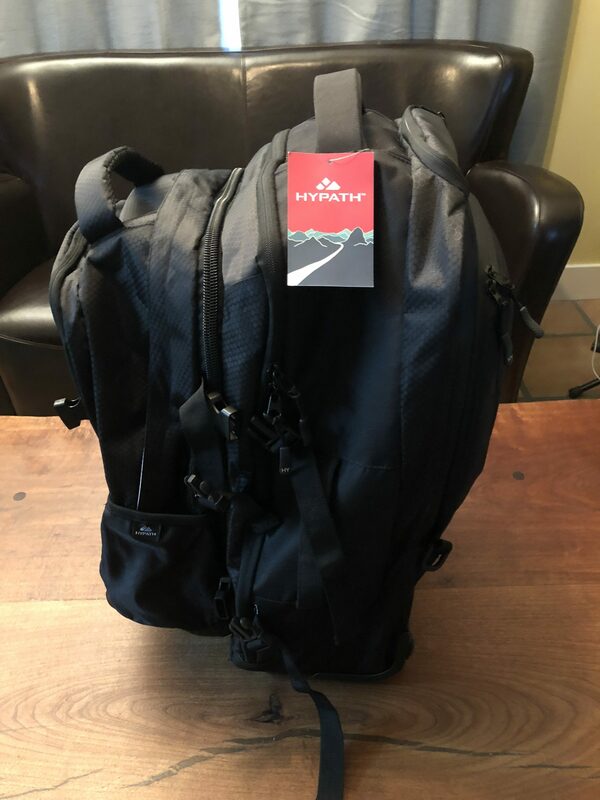 After our Hypath 2-in-1 Convertible Travel Bag review, we feel that this is the best carry-on travel backpack with wheels as far as value goes due to its balance of quality, functionality, and space, while still having an affordable price. Some of the other brands on our list have a slightly lower price but with reduced functionality and quality. Other brands have higher quality materials but are more than double the cost and do not offer near the amount of interior space as the Hypath. 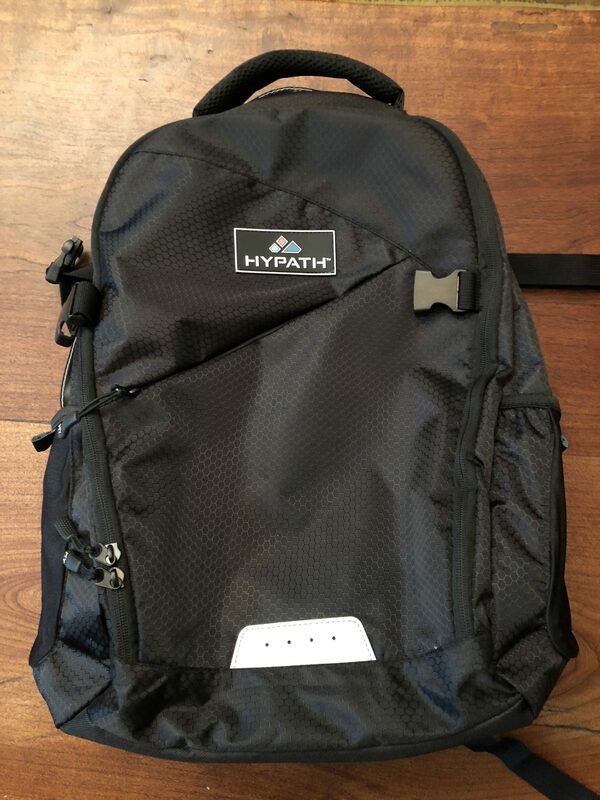 If you are looking for 2-in-1 luggage with a detachable daypack, nice aesthetic, quality materials/design, plenty of space, and a reasonable price, choose Hypath. Do you have this bag? If so, leave your own Hypath 2-in-1 Convertible Travel Bag review below.